Friday July 16: Harbor Greens hosts Dave Hannon tonight at the winebar @ 7pm. For more information about the band visit Reverbnation. 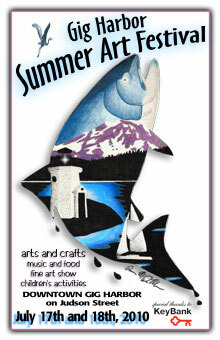 Saturday & Sunday July 17-18: 26th Annual Gig Harbor Summer Arts Festival. Another don’t miss festival where the city shuts down Judson Street (one street up and parallel to Harborview) and Gig Harbor residents and tourists fill the streets. 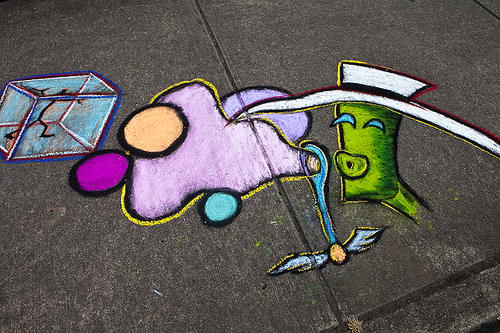 Bring the family and join us in Beautiful Down Town Gig Harbor for our 26th Annual Summer Arts Festival. 148 artists have been selected to participate in this year’s Summer Art Festival. There will also be food vendors, live music and a variety of childrens’ activities. In addition to the vendor artists, PAL members will also be offering their art for sale in the PAL Art Tent. You’ll find framed originals, prints and a variety of greeting cards available for your shopping pleasure. Free shuttle service will be provided from the Pierce Transit park & ride and the Medical Center parking lot on Kimball Drive. For a map of the shuttle route click here. Life is Good … in Gig Harbor! This entry was posted in Bars/Pubs/Taverns, Coffe shops/Deli/Bakery, Festivals, Gig Harbor Entertainment, Kids, TGIF and tagged chalk the walk gig harbor, dave hannon, downtown gig harbor, festivals, gig harbor, gig harbor art, gig harbor entertainment, gig harbor homes for sale, Gig Harbor Summer Arts Festival, harbor greens wine bar, outdoor things to do, things to do in gig harbor. Bookmark the permalink.